The grand jury decided to indict Guyger on a murder charge for the Sept. 6 killing of Jean, an unarmed black man. 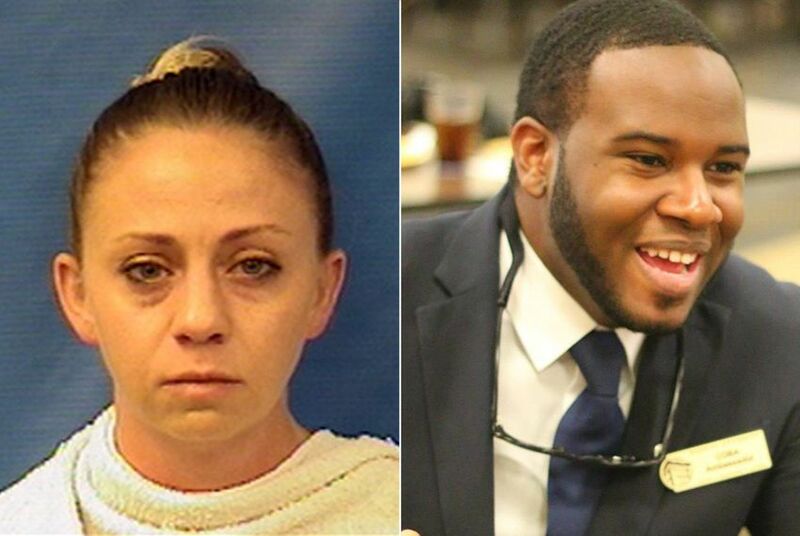 A Dallas County grand jury on Friday indicted former Dallas police officer Amber Guyger for murder, according to county court records. Guyger shot and killed Botham Jean, an unarmed black man, in his Dallas apartment on Sept. 6. Guyger, 30, killed Jean in his apartment after returning to her apartment complex from a late-evening shift. Guyger's arrest affidavit said she entered Jean’s unit thinking that it was her own and that she shot Jean because she thought he was an intruder. Guyger lived in unit 1378, while Jean lived directly one floor above, in unit 1478 at the South Side Flats in Dallas. Jean later died at Baylor University Medical Center after Guyger made a 911 phone call. Guyger was arrested three days later on a manslaughter charge, but remained on the city’s payroll until Sept. 24, when the Dallas Police Department fired Guyger following an internal affairs review. Jean was buried the same day in his native country of St. Lucia. Questions surrounding the case have sparked international attention, with a focus on whether Guyger knew she was entering the wrong unit, and if she was justified in using deadly force as a police officer, given that Jean was in his own apartment. Public backlash also targeted the Dallas Police Department for waiting almost three weeks to fire Guyger. In the affidavit, Guyger said that the door was "slightly ajar" and that the interior was dark when she entered, so she was unable to see that it was the wrong apartment. Guyger said she drew her gun when she saw a "silhouette" in the unit, gave verbal commands that were ignored, and that she fired two shots, with one hitting Jean in the torso. According to the Dallas Morning News, Jean's mother and sister took the stand before the grand jury this week, but little else is known about what evidence was presented. During a press conference following the indictment, Dallas County District Attorney Faith Johnson said her office completed a thorough investigation of the case, and that although she predicts the case won't go before a jury for at least a year, she was encouraged by Friday's decision. "There is still a journey ahead of us," Johnson said. "We thought that it was murder all along. At the moment of the shooting, it was an intentional and knowing offense." Dallas Mayor Mike Rawlings also released a statement offering his support of Wednesday's decision. "Botham Jean was an incredible young man who was tragically taken from us too soon," Rawlings said. "Our city will never forget him. Today’s decision is another step on the long path toward justice for Botham." Speaking at the press conference, Jean's parents — who were wearing "Be Like Bo" shirts — said the indictment brought some comfort after almost three months following their son's death. "I truly believe that she inflicted tremendous evil on my son," Jean's mother, Allison Jean, said to reporters on Wednesday. "From the very start, I knew that she murdered him. I was not satisfied at the manslaughter charge. I look forward to the next step, which is a conviction of murder of Amber Guyger. And more so, of a penalty, the proper penalty that will cause her to reflect on what she has done and the pain that she has caused not only [to] my son, but my family, my church, my country."